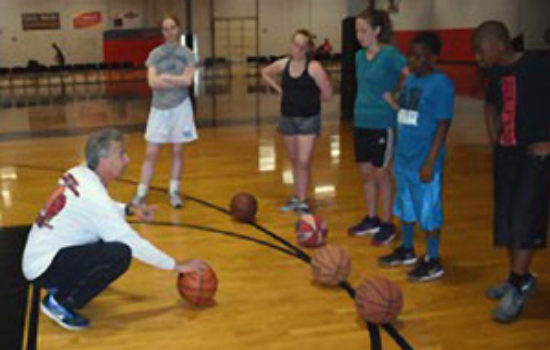 Roger Galo, known as one of the finest basketball shooters to ever step foot on the court, will provide hands-on teaching and instruction to youth players, age 11 – 17, during his upcoming basketball camps in Hatboro, Pennsylvania. Galo’s camps are among the top basketball shooting and offensive-focused camps in the country. Galo will provide proprietary information to participants, who can then take this knowledge to their teams and other coaches and raise their shooting game to the next level. Galo has developed what is known as the “Galo Shot Making System.” This is a science-based way of teaching the fundamentals of basketball shooting that can increase a player’s shooting accuracy – of free throws, field goals, and three point shots – by up to 25%. Galo teaches a basketball shooter both simplicity of movement and economy of motion that dramatically improves a shooter’s consistency and results. What Galo teaches can be transformational for a basketball player, and the camp participants will walk away with important fundamentals that can be used to elevate their game for the rest of their basketball careers. The camps are geared for both players who have extensive basketball background, as well as basketball novices who are just beginning to learn the game. As the Galo Shot Making System emphasizes body awareness, the skills that players develop during the camp and while working with Galo will also benefit the athletes as they participate in other sports. These August 2017 camps are a unique opportunity to work directly with Roger. Roger will be at the camps for their entirety, and will work with kids on an individual basis as needed. Demonstrations and video are important elements of the camp, so that the players can see both themselves and others developing their shooting technique. Different fun and unique exercises and drills enable players to understand motions … and get a feel for what is truly one of the only innovations in basketball shooting in the last 50 years. Join Roger Galo at one of the top basketball shooting camps in the country, located conveniently to the greater Philadelphia area in Montgomery County, Pennsylvania. Our daughter got to the top of her game because of Roger and her own ability. She broke every record at her high school that had been set in both girls and boys basketball except one, and is now starting as a freshman on her collegiate varsity basketball team. Sessions will run from 9:00AM to 3:00PM each day. Each is limited to 20 players to ensure personalized attention.